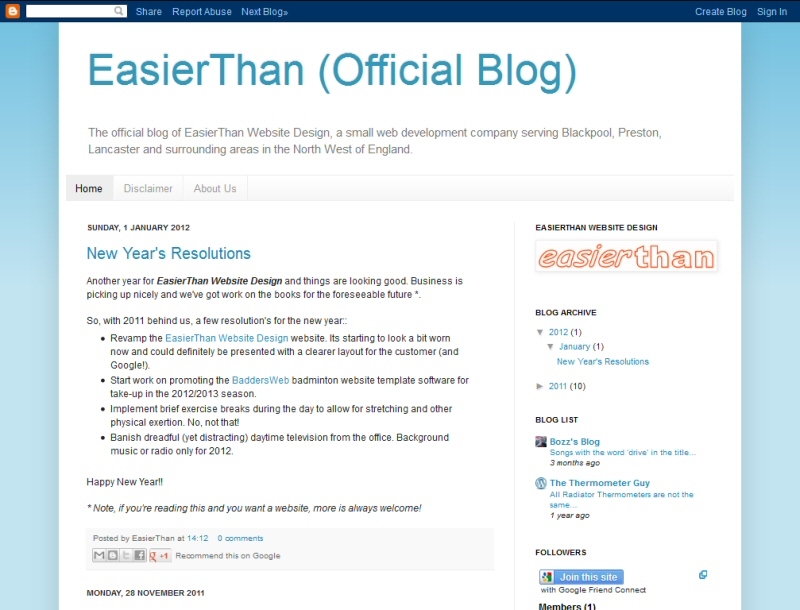 Successful customer blog promoting a Garstang based accountant's website and servicesWhether separately or tied to a Search Engine Optimisation exercise, EasierThan SEO Services can provide reasonably priced blog authoring and / or hosting services for business blogs. A business blog is a useful tool serving the dual purposes of engaging with your customers and driving Google traffic to your main website. If you want to keep customers informed of latest news, events, timetables, recent projects, testimonials or just want to keep your on-line presence fresh with interesting relevant articles, a business blog is the answer. We can set-up, host and manage blogs for you, taking care of all technical aspects including any Domain Name Registration and branding. As part of a managed service, we would then promote posts on Facebook, Twitter and other social media, such as StumbleUpon and Reddit. If desired, you would have the option to vet all content before it is published. Alternatively, we can provide training and advice for you or your employees to do some or all of the above. We focus on quality, not quantity, producing articles that will be of genuine interest to your clients and / or capable of independently attracting Google traffic. Your on-line presence is important and we only ever using trusted local English speaking authors with a registered business address. No work is ever contracted out to third parties overseas. This means you can be assured of coherent articles with good grammar and spelling throughout. 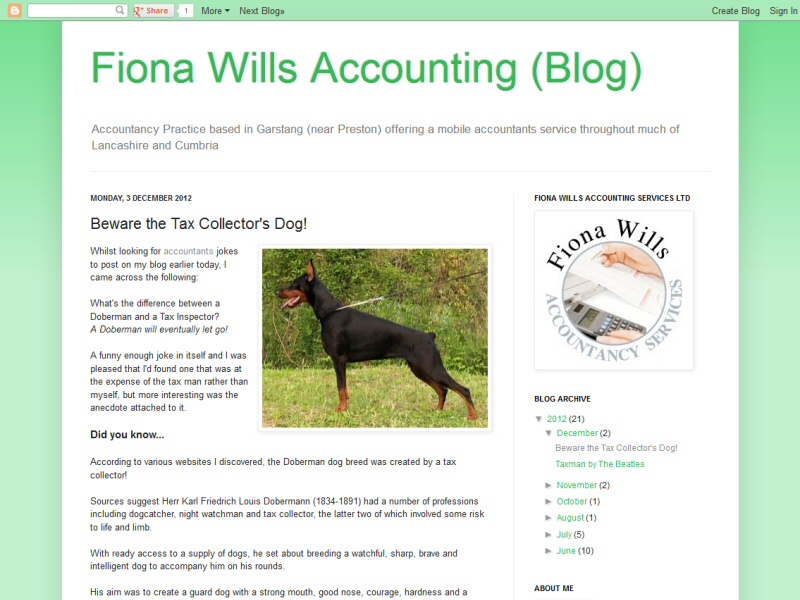 Why not Contact Us to discuss a blog for your business? 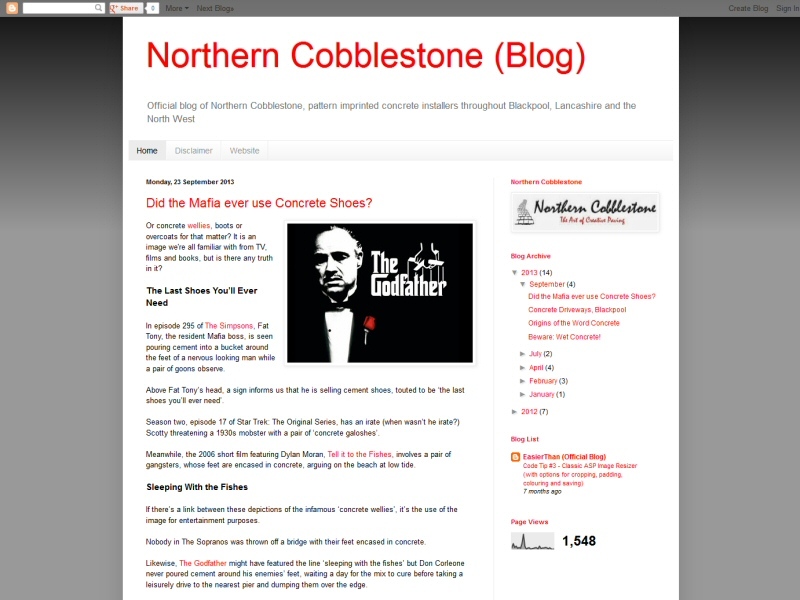 Popular blog with articles relating to concrete, driveways, steps, garden paths and the Lancashire area. 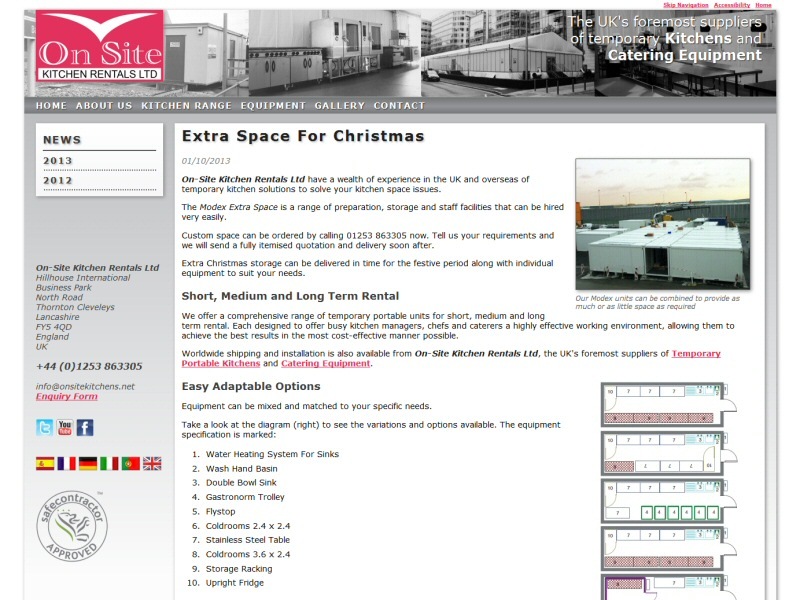 News blog linked to the main website featuring regular business news updates for the company. Managed Blog, Twitter and Facebook services to help improve Google rankings and engage with customers. Our own official blog. Currently due for some updating!